There is no shortage of negligence lawsuits centering around nursing homes these days. It has become a disturbing trend in American medicine. One of the most vulnerable segments of the population are being mistreated, outright abused, and given a substandard quality of care. Recently, a representative of the estate of Josephine Sciacca filed a lawsuit against Oaks of Clearwater nursing home. The lawsuit alleges that Oaks of Clearwater failed in their duty to render a reasonable standard of care and that failure resulted in the death of one of its patients. The plaintiff alleges that Oaks Clearwater failed to correctly assess the deceased for a risk of choking and failed to render appropriate interventions to decrease that risk. The plaintiff is asking for an undisclosed amount of money. With the corporatization of the industry, nursing homes are being run more and more like businesses. While this is not unusual, the nursing homes themselves are held in the name of shell companies. 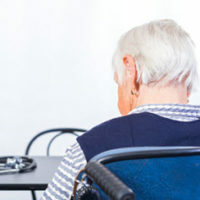 The nursing homes then pay “fees” such as “rent” and other expenses to parent companies, and the company’s assets are insulated from lawsuits directed at the nursing home. According to one study, nursing homes paid 33% more in “rent” than other business per square foot. Meanwhile, the assets held in the nursing home company’s name are meager and appear to all inquiries to be running at a marginal profit. This makes for a shifty target, but then again, that’s the point. More troubling still is that the quality of care suffers as nursing home corporations look for craftier ways to insulate themselves from lawsuits instead of raising their standard of care. Series LLCs are interesting legal fictions. They’re essentially containers for assets. The companies can be manufactured out of thin air and own other companies, hold assets, or create a web of business transactions. On paper, modern American nursing homes appear to be heavily underfunded. They are. Meanwhile, much of their operating budget is being sent to parent corporations that seem to provide no discernable service. For personal injury attorneys, it becomes much more difficult (though not impossible) to sue an out of state company. Series LLCs provide a layer of protection that while not impenetrable, is much more difficult to target. Meanwhile, these shadow companies have full operational control of the nursing homes but little of the liability. Lawsuits like the one mentioned above are not uncommon. The problem is that the quality of care suffers when so much of the nursing home’s operating budget is being funneled into trust funds and corporate conglomerates. While nursing home directors claim the corporate structure does not affect the quality of care, negligence lawsuits against nursing homes are exceedingly common, and that has much to do with the fact that they are understaffed. Has Your Loved One Been Injured by Nursing Home Negligence? Gillette Law Firm can help. Give us a call at (912) 289-4205 or contact us online for a free case evaluation.